Today I am happy to have Mariah Lynne as my guest blogger. Do enjoy her post. Welcome Mariah. 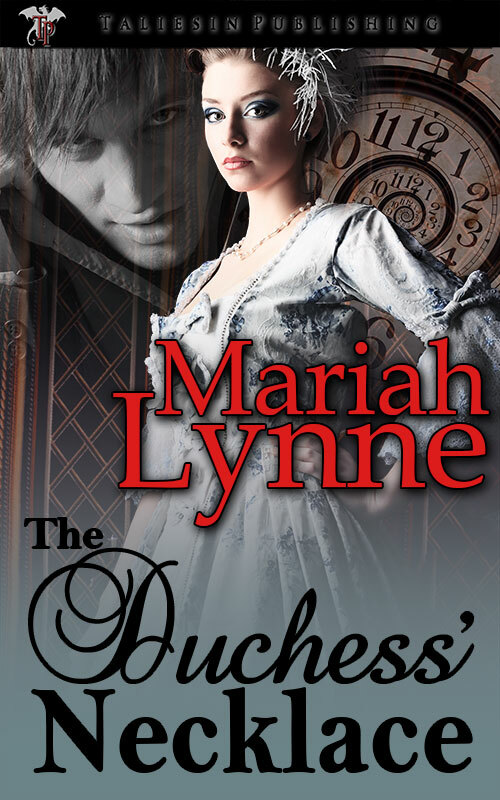 INTERVIEW WITH MARIAH LYNNE –AUTHOR OF THE DUCHESS’ NECKLACE. So tell me a little bit about yourself, Mariah, how long have you been writing? I have written stories since grammar school. In fifth grade, I wrote a play about an Egyptian princess that my class performed. That’s when I got bitten by the writing bug. I don’t remember much about the story now except that we used large sheets of art paper to make papyrus fans for the royal court. I covered a bomb scare (we all remember those) as news editor in high school as well as class news. More recently I wrote entertainment columns for two of our island newspapers while running an island business. After I sold my store, I decided to write fiction knowing I had a great deal to learn. My first novella, THE LOVE GYPSY, published by The Wild Rose Press, tells the tale of Florida homicide detective Brianna Breeze who can’t catch a man unless she handcuffs him. Her best friend decides to take matters into her own hands and tricks Brianna into seeing The Love Gypsy, a time traveler’s friend noted for her extraordinary matchmaking skills. A tall, muscular man wearing jeans, a black leather jacket, and slicked back 50’s hair bursts in on her first visit. Brianna is attracted to him. Despite the kind gypsy’s warning not to get involved with him, Brianna can’t get him out of her mind – even though she more than anyone knows the pitfalls of romancing a stranger. A present day murder, a mysterious vintage car registered to the past, and a smoking gun complicate the puzzle. Brianna doesn’t know if lover from the past is a murderer, or a savior, but she’s willing to risk time travel to find out. THE DUCHESS’NECKLACE, published by Taliesin Publishing, is also a time travel romance. A fast paced story, it is filled with revenge, romance and royal jewels. Do you have a favorite book you have written? I am working on one have one that hasn’t been published yet. It is a full length novel about 17th century pirates, mysticism, and a South American treasure. I am revising and rewriting and hope to finish it by the end of this year. I have been working on it on and off for about three years. Aside from that one, my favorite is always the one I am creating at the moment. I love creating and telling a good story. I enjoy reading and listening to a good tale as well. It’s fun to invent characters and create the world they live in. Do you have a favorite affirmation on writing? I used to be a pantser but I am getting better at being a plotter with a storyboard and character pages. Attribution: Rob Bendall via Wikipedia Images. I get inspired by a place I’ve visited or someone I met. 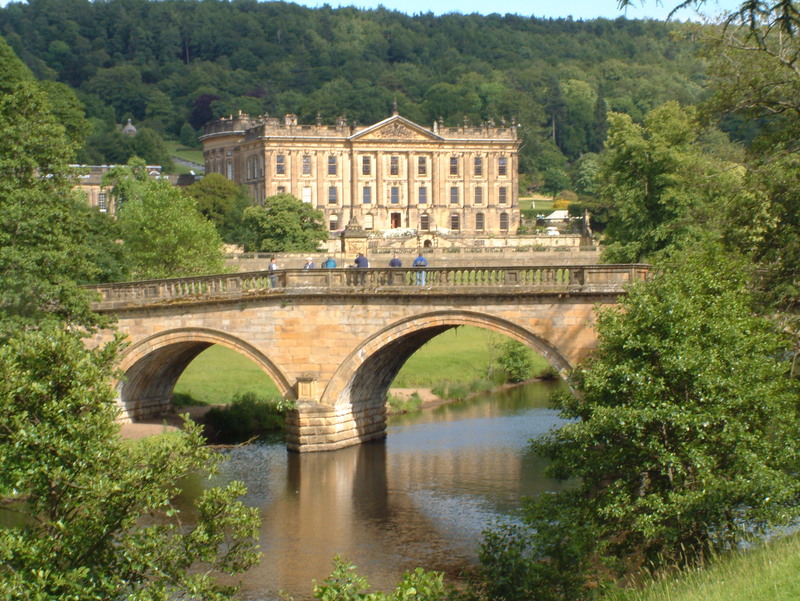 The character of the Duchess evolved from a trip to Chatsworth House in Derbyshire. As I walked through the long hallways and visited the regal rooms, I wondered what life as a royal was like in the heyday of royalty. I then imagined what kind of woman my fictional 18th century duchess would be like. I prefer my heroines to be independent and feisty like Brianna Breeze. I then imagined how she would react to the main dilemmas in the plot. In a story I am rewriting now, the character of an evil wizard was inspired by a visit to Chenenceau castle in France. The castle boasts an apothecary also used as a poison room. A most delightful place for a villain to frequent. Amelia Augusta Ehtrington, 18th century Duchess of Abbington refuses to marry and relinquish her royal authority to a husband. As such, she has trysts with strangers and wandering knights. She soon meets a Traveler who steals her heart as well as the jewels that prove her title. The scoundrel travels to the present to sell the jewels at future prices. She is determined to follow him and with the aid of a kind gypsy seer. She wants nothing less than to find the thief, kill him, and retrieve her title before her jealous male cousins lay claim to her duchy. Complications arise after she meets a handsome shy man, a museum appraiser sent to acquire the jewels. Amelia falls in love with him but realizes she must focus on her quest to regain both her necklace and title. The Duchess is now faced with the most difficult decision of her life. Love in the present or wealth and title in the past. Travel with Amelia to see what she chooses. It didn’t take long for his carriage to reach the riverfront. We stopped. Ryan leaned over and kissed my cheek whispering in my ear. Ryan helped me out of his carriage. We climbed the one flight of steps up to his room. Once inside, I sat down on the bed and stared out the window before giving him a serious look. Ryan closed the drapes before sitting down next to me. He squeezed my hand as I touched his lips with the gentlest kiss. Ryan filled me with a deep passion. I was ready to reveal my desire for him. I hoped he felt the same way. I knew what I wanted and decided to show him how I felt in a special manner. Standing up, I slowly removed Starr’s silk floral sash and placed it around his neck. I stepped back to dance the seductive dance of the gypsy women who camped outside my childhood manor house grounds. They had always looked graceful, bracelets jingling, ribbon colored skirts twirling as they turned and twisted by their campfire in the moonlight. They seduced traveling knights and lesser royals hoping for romantic trysts out of their coin. *I had heard the gypsies’ haunting songs and desired to get a better look. I became quite good at sneaking out night after night, hoping not to get caught. I watched them dance, hiding in some nearby bushes. One night, a beautiful gypsy spotted my hiding place and grabbed me. To my surprise, she had me stand and taught me their dance. I stretched remembering where I was and what I needed to tell him. My feelings for him now made it more complicated. Ever dream of traveling through time? Mariah Lynne does. She writes stories that take her readers along on exciting journeys. Travel to distant times and beautiful places with strong-willed independent heroines whose memorable tales will entertain with twisted plots that dabble in the paranormal. Both of her novellas, THE LOVE GYPSY and THE DUCHESS’ NECKLACE, fit that description to a T.
A Graduate of Syracuse University, Mariah lives on a beautiful Gulf Coast Island in Florida. She is a member of Romance Writers of America and the Southwest Romance Writers. When she is not writing, she enjoys swimming, traveling and spending time with her husband and dolphin hunting dog, Max. This entry was posted in fantasy, Historical, romance writers and tagged Taliesin Publishing, time travel, Wild Rose Publishing. Bookmark the permalink. ← It’s the little things that matter. Thank you for the comments, Diane, Barb, and TD and thank you for the visit Daisy. You are most welcome, Mariah. added to the TBR – love time travel…. Thanks for commenting, td. I agree it looks like a great story. Great interview, and a very fun excerpt! Thanks for sharing.